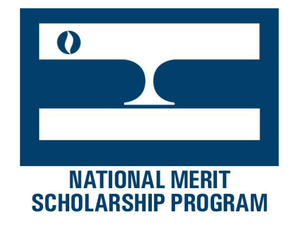 Today, National Merit Scholarship Corporation (NMSC) announced about 550 additional winners of National Merit Scholarships financed by colleges and universities. Congratulations to Marshall B. Heiser, a graduate of Staples High School on being a National Merit Scholarship Winner! These Merit Scholar designees join approximately 3,500 other college-sponsored award recipients who were announced in June. According to NMSC, to become a Finalist, each Semifinalist had to complete a detailed scholarship application, which included writing an essay, describing leadership positions and contributions in school and community activities, showing an outstanding academic record, and being endorsed and recommended by a high school official. Semifinalists also had to take the SAT® and earn scores that confirmed their performance on the initial qualifying test. From the Semifinalist group, about 15,000 attained Finalist standing, and about half of the Finalists were chosen to receive National Merit Scholarships. The University of Southern California is private, coeducational, and nonsectarian, and is located in the heart of the city of Los Angeles. Undergraduate enrollment is nearly 14,000 students. A College of Letters, Arts and Sciences is complemented by 19 professional and graduate schools offering undergraduate and graduate degrees. Graduate enrollment is about 12,000.